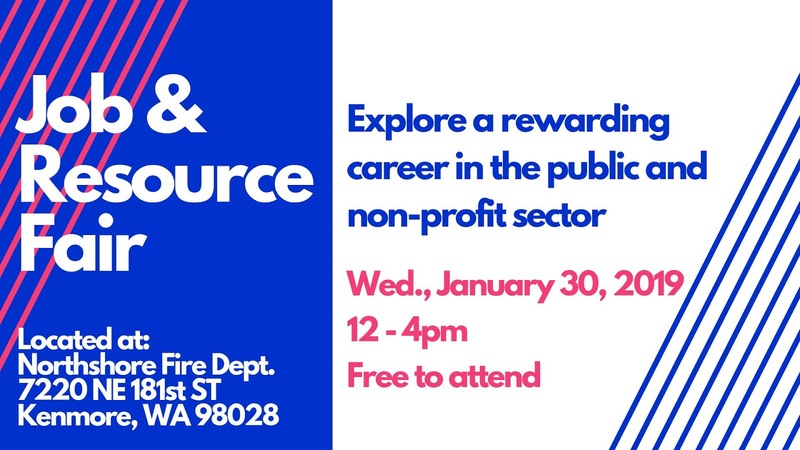 The Job and Resource Fair is today - Wednesday January 30, 2019 from 12 noon to 4pm at the Northshore Fire Department, 7220 NE 181st Kenmore 98028. Several dozen major local employers will be there, including six cities, fire and police departments, utilities, school district, sheriff's department, as well as a few smaller employers. No cost, no registration, no schedule. Just drop in from 12 - 4pm and talk to people.